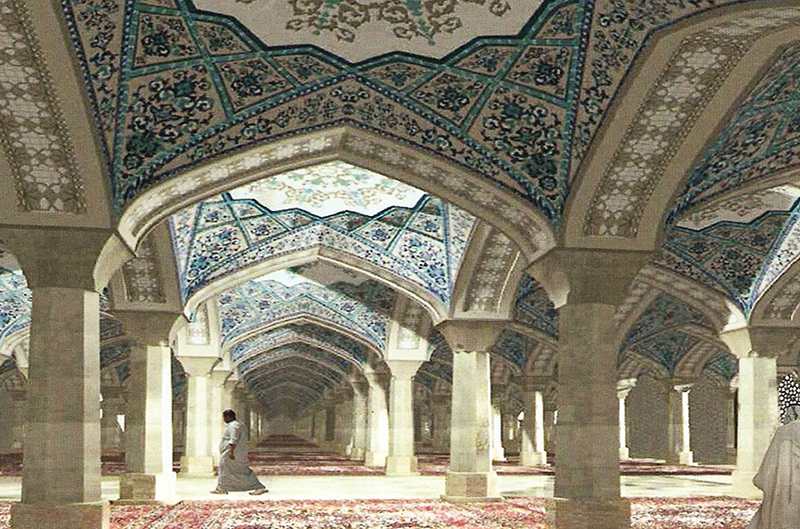 The project of Fatima's Courtyard considered one of the largest construction projects in holy shrines in Iraq. It is hopeful that the completion of the entire project will be during the next two years. The project is executed by donor side, which is the Commission for the Reconstruction of the Holy Shrines in Iraq in cooperation with the Shiite Endowment. Specialized engineers from Iraq and Iraq are executing the project. 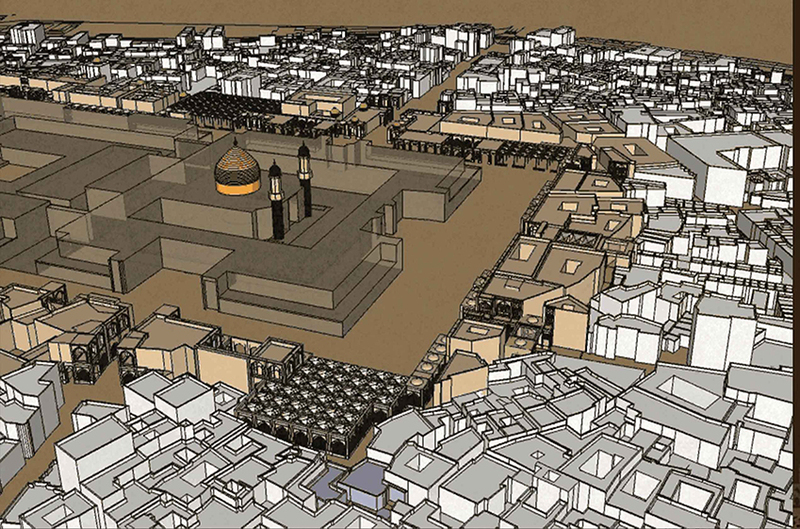 The expansion of holy shrine, or what is known as (Fatima's courtyard) is the largest expansion project that the holy shrine executes beside Imam Ali Holy Shrine. 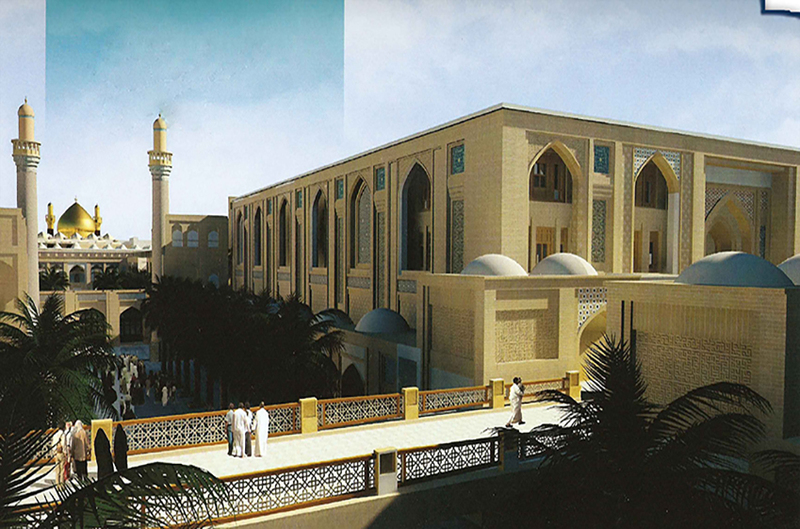 This project is part of Imam Ali's Holy Shrine according to its plans to expand the holy shrine. This project is very important because of the increase in number of visitors, who increase in number year after year, especially with openness in Iraq after decades of restrictions and preventing the lovers of Ahl al-Bayt from visiting the holy shrines. Fatima's courtyard is a giant project covers area of 61,000 square meters, equivalent to almost more than three times the current courtyard. 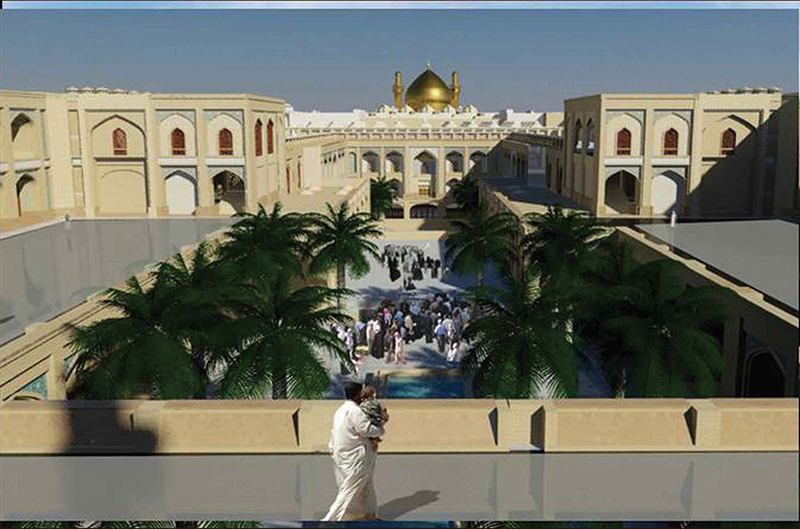 This courtyard is part of the great expansion of Imam Ali Holy Shrine project. The project includes 4 floors contain a large closed halls to accommodate visitors who wish to perform the visit ceremony, prayer and supplication. The project also contains large green spaces, which adds beauty to the project. Fatima's courtyard is located in the western side of Imam Ali Holy Shrine, specifically in the area from the shrine of Safi Safa and the shrine of Imam Zaine El Abidine to the western wall of Imam Ali Holy Shrine. 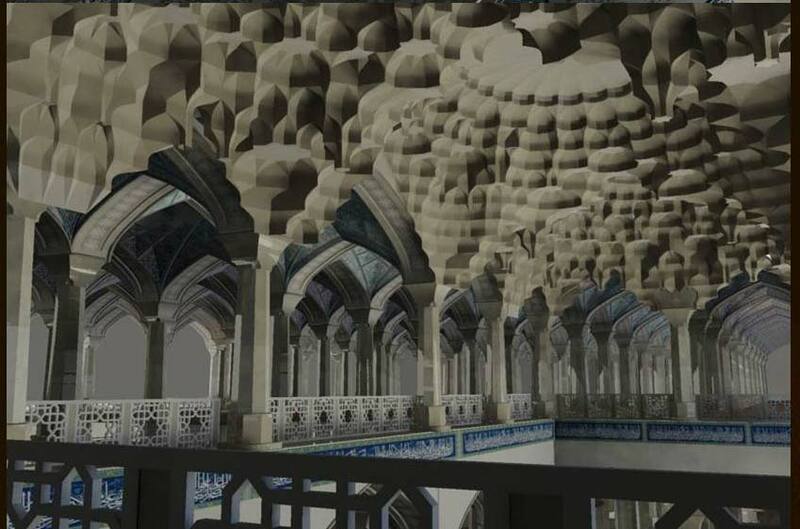 This giant project includes big and important buildings such as the museum of Imam Ali Holy Shrine, which will include the gems of the Treasury Imam Ali Holy Shrine. A modern library will be established with one million books. As well as construct buildings for the administrative department of Imam Ali Holy Shrine and special halls dedicated for the religious students' to organize the religious courses because of the large number of foreign students who come to Najaf from inside and outside Iraq. The most important part in this project is the part, which is dedicated for worship and visit, which constitutes about 50% of the project's area. In this part, the noble visitor can pray, reading Holy Koran and all worships. A large mosque and another courtyard with three floors provided with the necessary services for visitors like restaurant for visitors and another to Imam Ali Holy Shrine staff and WC. Engineering Specifications of the project contains pure Islamic architecture as well as the exclusive details of Najafian architecture. Also, the courtyard contains modern technologies such as escalators, elevators, electrical means of air-conditioning and all the equipments to comfort the visitor in this sacred place. The museum will be attached with the dispensary from the back. The museum will consist of six floors, with over than 3,000 square meters per floor, and the museum will contain all precious belongings of imam Ali Holy Shrine, like the gifts of kings and presidents that dating back to more than 400 years. The big library will be in front of the museum. The area of the big library is as big as the area of the museum and the administrative buildings will be added to the library. The parking area will be below this construction. 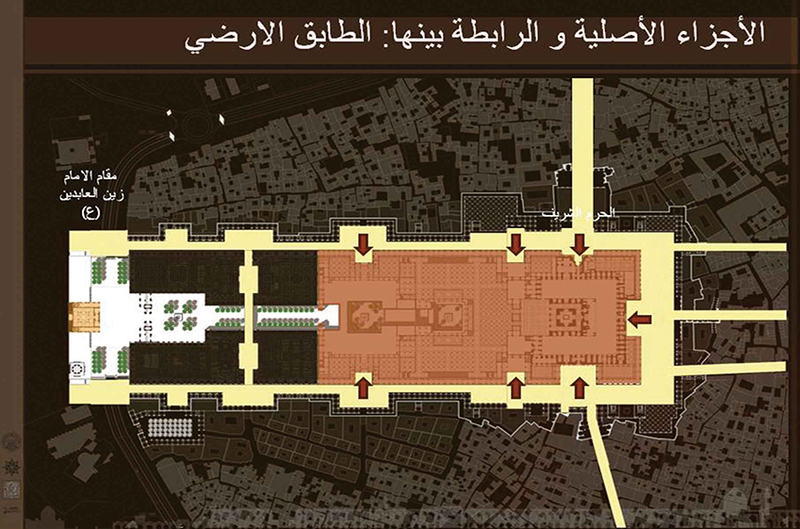 The tunnels of entrance and exit of the vehicle of imam Ali Holy Shrine will be around the construction. 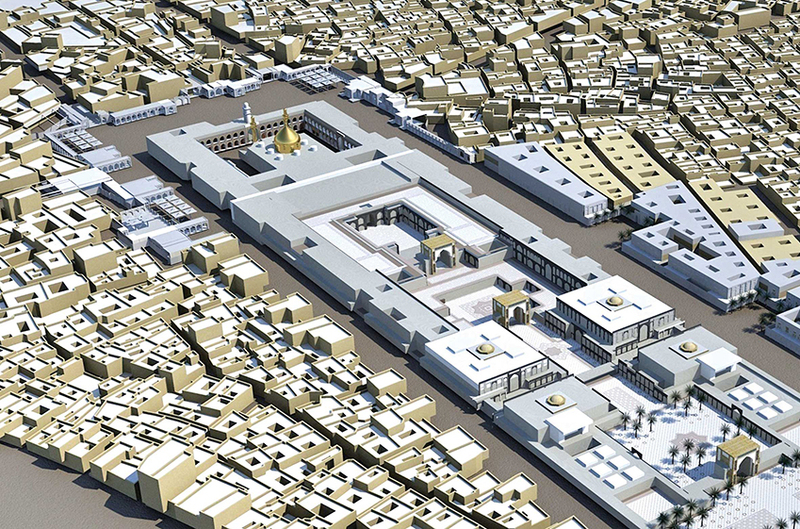 Fatima's courtyard is part of the general expansion project for Imam Ali Holy Shrine. 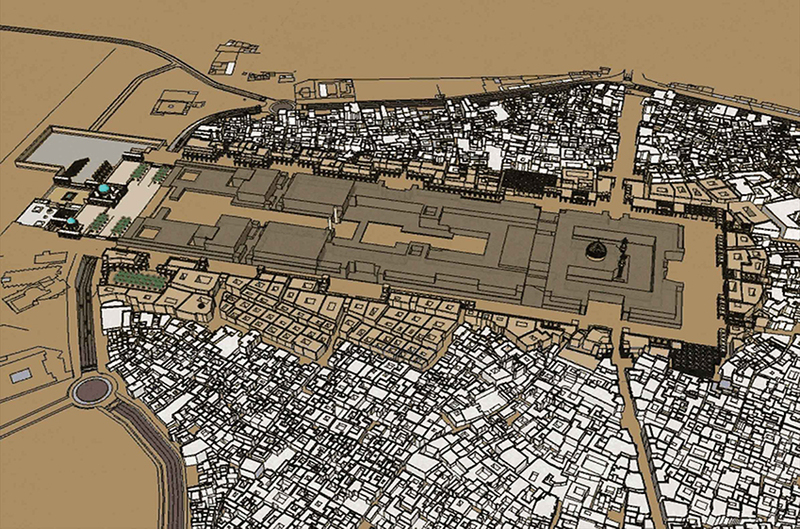 A lot of buildings and structures on the sides of Imam Ali Holy Shrine will be added to Fatima's courtyard. The contract period to complete the project is four years and the percentage execution is very high and it is hoped that the project be completed earlier than expected. There are many important projects for the expansion of Imam Ali Holy Shrine. One of the important projects is developing the area of 60 meters around Imam Ali Holy Shrine from northern, eastern and southern sides. Imam Ali Holy Shrine, already, opened Imam Hussein (peace be upon him) courtyard, which accommodates large numbers of visitors and includes a set of customized services to visitors. also, Imam Ali Holy Shrine opened the courtyard of Imam Hassan (peace be upon him) in the eastern side. But the expansion projects in the western side is the most important expansion because it is the largest. 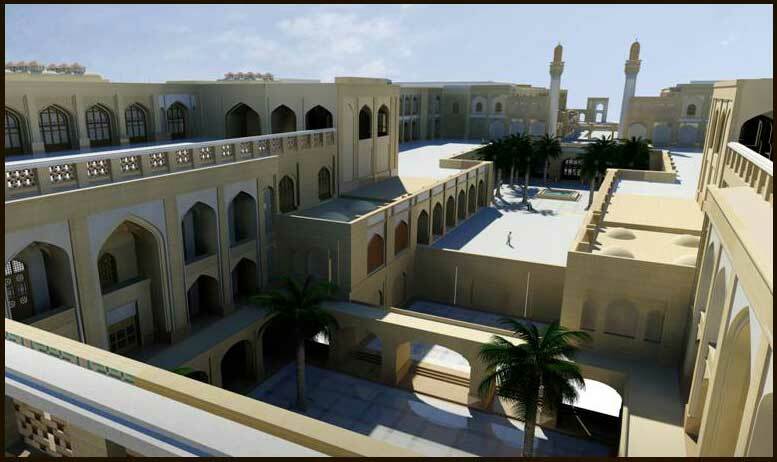 The engineering and technical staff of al-Kawthar company, who is in charge of executing Fatima's Courtyard Project and by the ongoing work, it was announced that the concrete works in worship section is 100%. The finishing and mechanical works were begun in addition to the domes of this section. 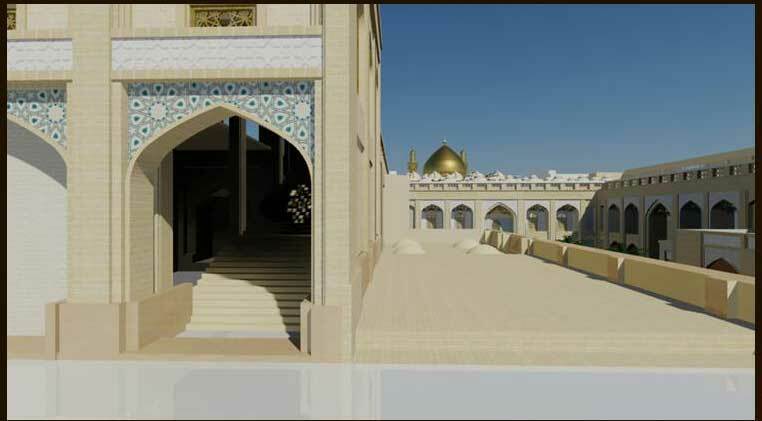 The company promised that during the coming few month, a large part of the worship section will be ready to receive the visitors and this section will be connected with Riwaq Abi Talib with at least two or three entrances. Lately, it was announced of the opening of the concrete structure of al-Haidariya Big Library. The library consists of five floors with an area of three thousand square meters, which equals fifteen thousand square meters. It is located on the northern side of the Holy Shrine (opposite to Al-Hweesh area). The library has been designed in accordance with the universal design. The library is well prepared to attract the researchers. In addition, the framework of Al-Alawi Museum was opened. 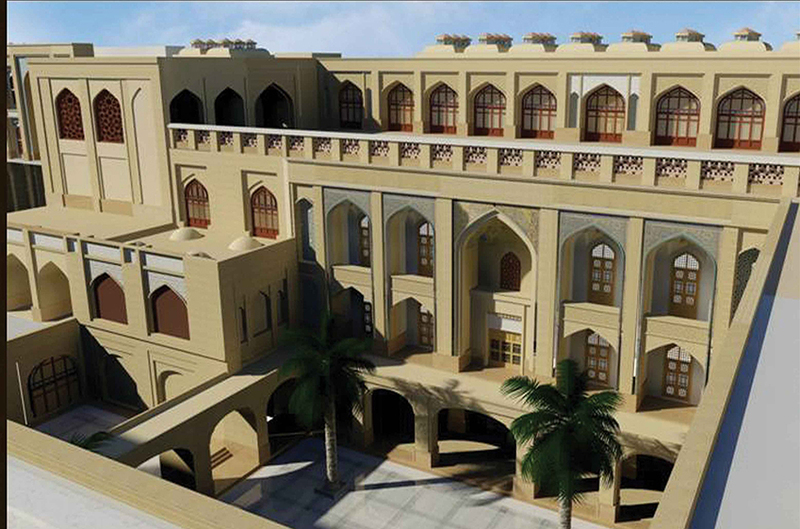 The museum is situated opposite the area of (Mishraq) for being the oldest area in Najaf. This museum consists of six floors with an area of the thousand square meters with total area about eighteen thousand square meters; the museum has been designed according to the specifications of international museums. At 12/4/2015. The Secretary General of Imam Ali Holy Shrine Sayyed Hashem Nizar Habl al-Mateen visited Fatima's Courtyard Project to review the ongoing work in the project. He was accompanied on the tour the director of the project from al-Kawthar Foundation for the reconstruction of the holy shrines in Iraq - Najaf branch, Engineer Hassan Khoshroo and director of al-Kawthar Foundation for the reconstruction of the holy shrines in Iraq - Najaf branch and the engineer Vedakar. The secretary-General made an inspection tour of all the parts of the project, during which he was informed about the ongoing works. Also, he listen to detailed explanation about the percentages of execution from the directors of the project. He held an expanded meeting with the directors of the project lasted several hours, during which he urged the workers in the project to expedite the completion process and discussed with them ways to resolve the problems and obstacles that may occur during the delivery process, calling for overcoming them immediately. The representative of Grand Ayatollah Sayyed Ali al-Sistani, Mr. Jawad al-Shahristani and his accompanying delegation of Ahl al-Bayt Foundation (Peace be upon them) to Revive the heritage. Sayyed al-Shahristani and his accompanying delegation reviewed the ongoing works in Fatima's Courtyard. Sayyed Shahristani urged the workers in the project to present maximum efforts and capabilities to complete the project to serve the noble visitors from all over the world. Two Courtyards for boys and girls in Fatima's Courtyard. 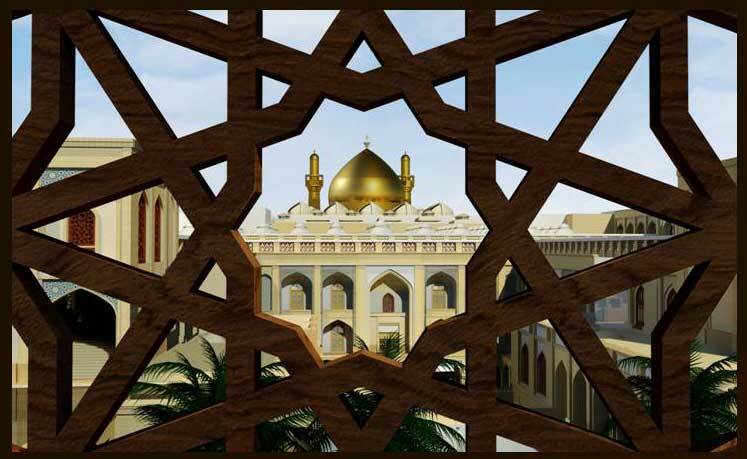 Secretary General of Imam Ali Holy Shrine Sayyed Nizar Hashim Habl al-Mateen announced the allocation of Sayyed al-Mohsen and Sayyeda Ruqaya courtyards to teach boys in Fatima's Courtyard. Sayyed Habl al-Mateen gave this initiative during the ceremony that organized by the General Secretariat of Imam Ali Holy Shrine. The initiative was presented by the Religious Affairs Department of Dar Koran as celebration for graduating the summer courses and honors the cadres of the small visitor program, which was launched by Imam Ali Holy Shrine during Holy month of Ramadan. A group of young boys and girls pupils from the small visitor program requested the Secretary General of Imam Ali Holy Shrine to have his agreed for the allocation of a special courtyard for young visitors inside Fatima's courtyard. During the ceremony, Sayyed Nizar Habl al-Mateen agreed for the request and said: we say to our children and daughters of boys and girls, who participated in our guidelines and cultural program during the summer holidays, we are in the process of allocation of certain areas in Fatima's Courtyard Project take care of boys and girls through naming the parts of Fatima's Courtyard as Sayyed al-Mohsen and Sayyeda Ruqaya. From the Holy Shrine of the Commander of the Faithful Ali bin Abi Talib (Peace be upon him) and between the corners of this richly productive city of science and scientists, Najaf. Everyone keeps waiting with the greatest achievement hosted by Imam Ali Holy Shrine in this blessed place to receive the visitors.